I used to really dislike tomatoes. As a kid, unless they were in spaghetti sauce, I picked them out of pretty much everything. 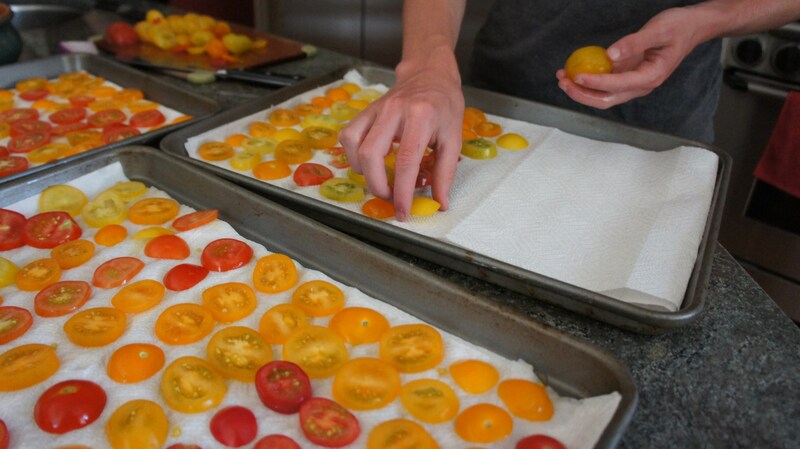 The only reason I liked tomatoes back in the day was because my dad says “to-mah-to” so this would lead into sing-alongs (“You say tomato, I say tomahto…“). 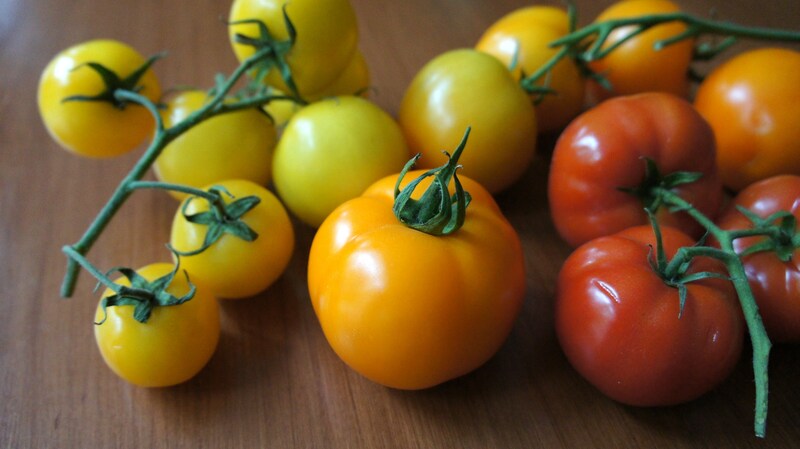 I think I became a tomato convert once my parents started growing them in our backyard. 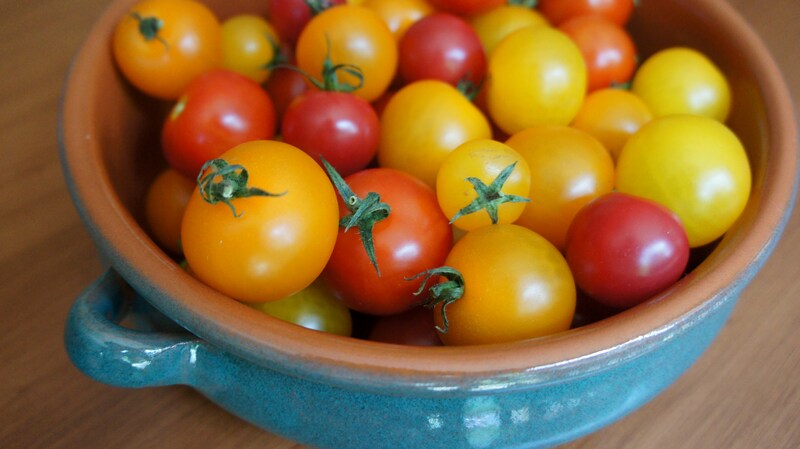 I loved going out to pick our little cherry tomatoes, the sweet millions, and I guess one day I decided I should probably try what I was harvesting. And that was it — ta da! A tomato lover was born. Luckily I think I only missed out on eight years of tomato goodness, so I’ve had plenty of time to make up for those missed fruits. 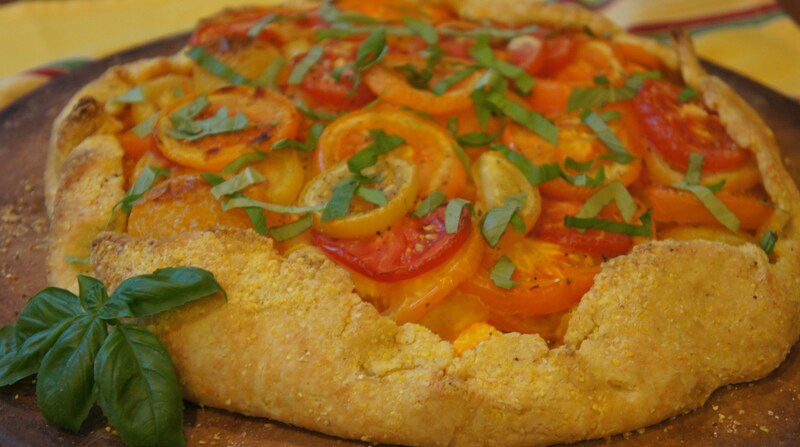 This tart from Cooking Light will beautifully showcase your tomato summer harvest — not only is the classic pairing of tomato and basil delicious, the brightly coloured tomatoes practically scream summer. 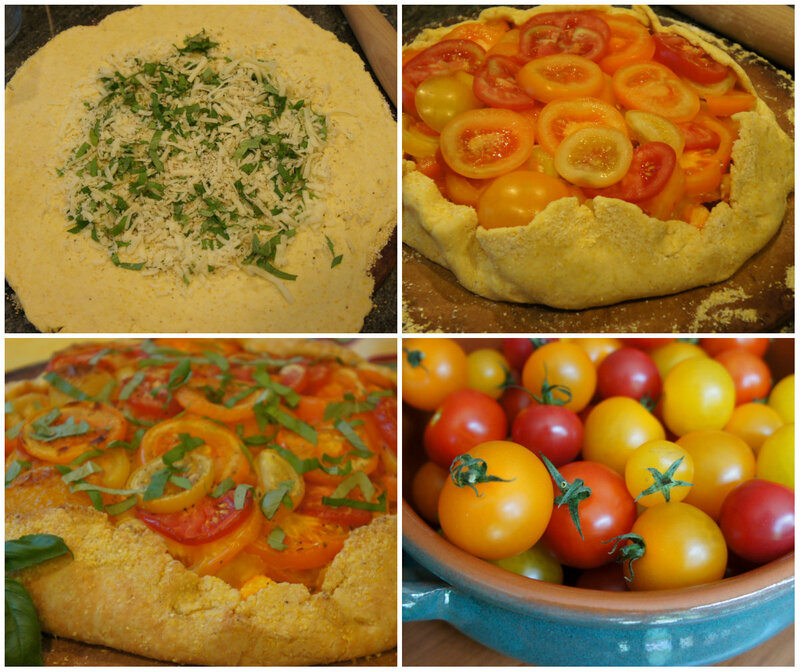 Along with your rainbow of tomatoes, the crust gets it’s golden hue from corn and cornmeal — and is surprisingly easy to make! 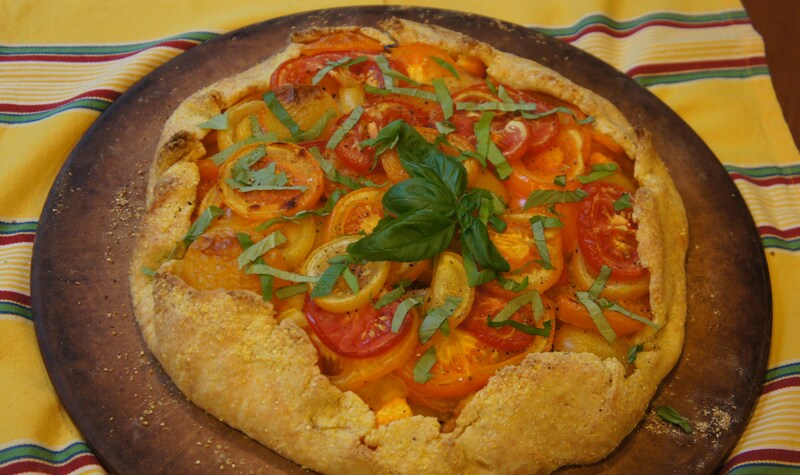 So you see, it’s pretty enough to impress but easy enough for a lazy summer dinner…perfect, right? It’s a long weekend over here and I’m getting ready for some time at the beach, kicking around town and sleeping in as much as I can! Can’t believe it’s August already — got to make the most of these summer days. Have a great weekend! 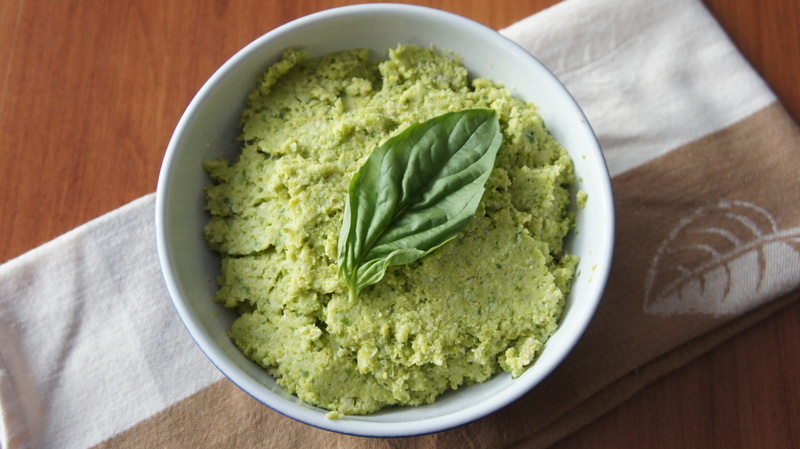 Even people who cringe at the thought of the little green veggie can like this pesto — you can’t tell the brussels sprouts are there, but the end result is a simple, delicious pesto (in an awesome shade of bright green! ).